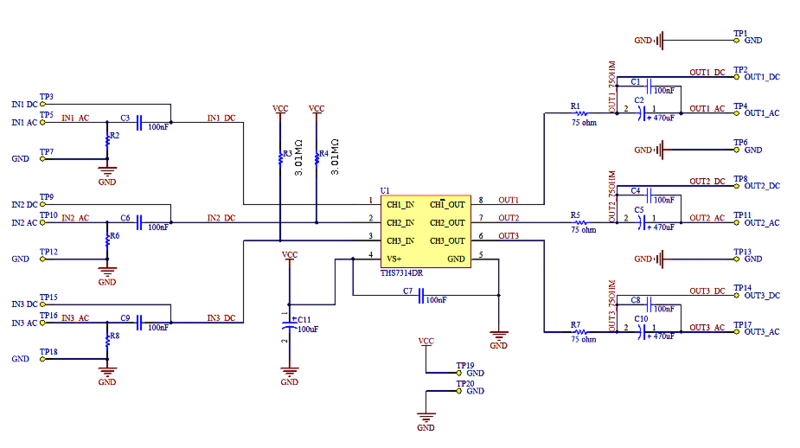 This circuit is based on Texas Instruments's THS7314, a 3-Channel SDTV video amplifier/filter with a 6-dB gain. With 3 channels, the circuit can be used to buffer not only composite (CVBS) video, but also S-Video (Y/C), component (YPBPR) and RGB. The capacitors required for AC coupling are present in this design, but DC coupling is also possible as solder points are available for both coupling types. 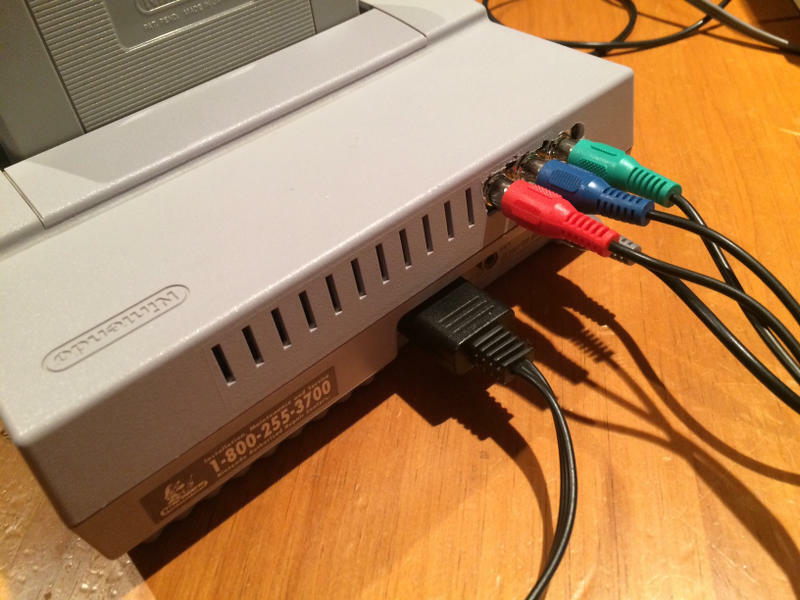 Adding composite video outputs on old consoles. Video amp for video game RGB mods. For detailed specifications and information, consult the THS7314 datasheet and product schematic. Example use cases available at raphnet.net.